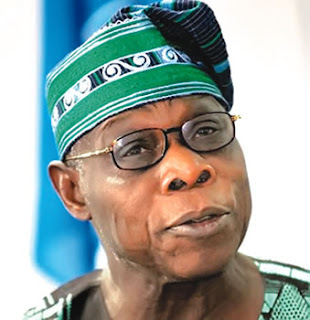 With less than 26 days to the general elections, Nigeria’s former President, Chief Olusegun Obasanjo, on Sunday, expressed doubt about the credibility and competence of the Independent National Electoral Commission (INEC), to conduct fair, free and credible elections. He noted that the outcome of the governorship election in Osun State was clear evidence that the electoral body was partial in the conduct of the election. Obasanjo said INEC declared the Osun election inconclusive despite all advice to the contrary, saying “from what we saw and knew about Osun State gubernatorial election, what was conclusive was declared inconclusive despite all advice to the contrary. “The unnecessary re-run, if viewed as a test-run for a larger general election, would lead people to expect incidences of deliberately contrived, broken, or non-working voting machines or card readers, confusion of voters as to the voting stations ,inadequate supply of voting materials to designated places, long line to discourage voters and turning blind eyes to favour the blue-eye political party of INEC because the Commission’s hands will be ties to enable hatchet men and women to perform their unwholesome assignment. “Thr transmission and collation of results are subject to interference, manipulation, and meddling. If INEC’s political party wins with all the above infractions, the result will be conclusively declared and if not, there will be a ‘rerun’, the result of which is known before it is carried out. Dangote Cement mega-dash promo begins with a huge slash down in prices and they deliver nationwide within two days.Buy cement for N1,3OO per bag and 5Okg Rice for N1O,OOO per bag.Contact the Marketing Manager (Sir Jubril Abubakar)on O 7 0 1 6 6 O 7 O 6 O for bookings and enquiries.